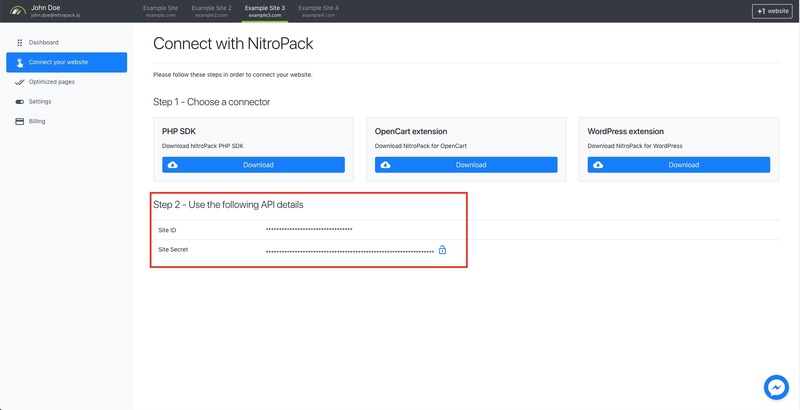 Make sure that you have the correct site selected (if you have multiple sites added) and click on the Connect your website button in the sidebar menu. The site ID and site secret should now be available to you. Note that the secret is masked, so you need to click the unlock button before copying it (do not copy the asterisks). That's it! 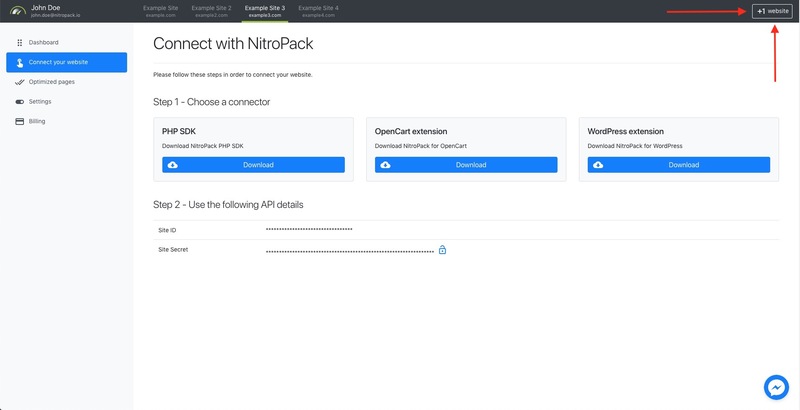 Use these credentials to connect your platform to NitroPack.